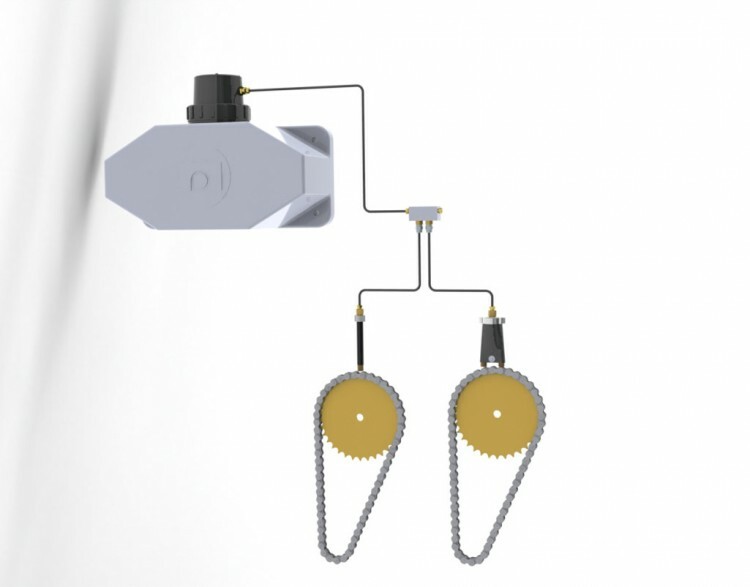 Simple fully adjustable oil lubrication for bearings and chains. No special oils required. Uses all basic engine oils [SAE30] to API/CC or API/CD specifications. E. Robust and integral UPV stabalised reservoir. Available in 3 litre (1 US Gallon) or 7 litre (2 US Gallons) sizes. F. Replaceable paper element. Filter prevents contamination of the system. 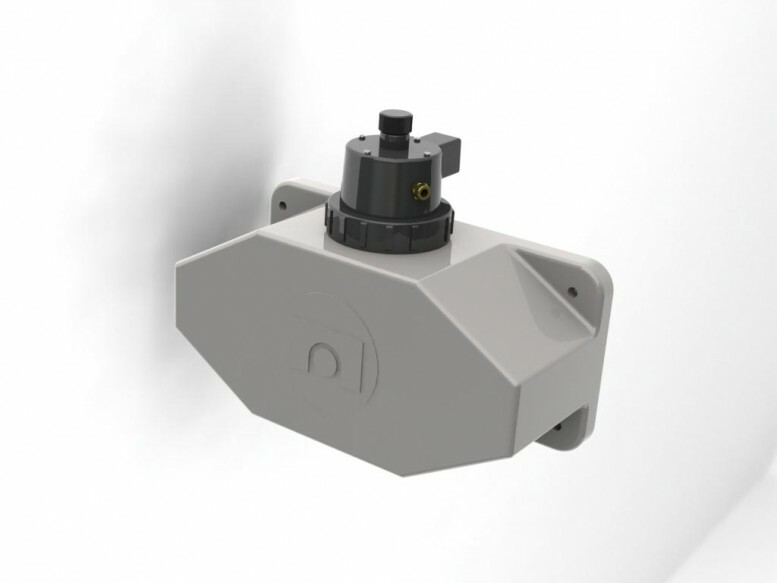 Each meter unit incorporates a non return valve and is available in a choice of 8 flow rates to allow a wide variety of lubricant requirements to be fed by a simple system. 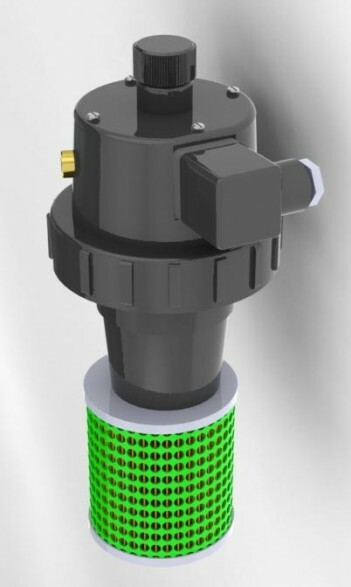 Frame mounted manifold blocks interrupt the primary line to allow meter units to be mounted close to lubrication points. Overall output adjustable easily at the pump to allow for changing operating conditions. C. chains/sprockets fed with purpose designed lubrication brushes.